Oh there they are, the ants! For the rest to follow. Plunging into the oil and out. And back to the ant colony. Teaching a lesson to us perhaps? To squirm out and live another day! There is a Global Education Meet (GEM) currently underway in the Kerala state capital of Thiruvananthapuram. I had been meaning to write on the education system in India for some time now. The meet coupled with yesterday’s incident was a sudden fillip to pen my thoughts. India has been known as a country which produced several notable intellectuals from all walks of life. We had Aryabhata and Brahmagupta in the early Christian Era to twentieth century giants as Ramanujan, C V Raman and Tagore. Unsurprisingly, the contribution by Indians to any field of knowledge is dwindling today. I believe this is a direct function of the education system in India. We were people who excelled in teaching as well as learning – but not any more. Ideally, as a nation progresses, its education system should also show tremendous momentum. In fact, growth and education are intertwined. While the early universities like Nalanda and Takshashila are proud remnants of our educational heritage, can we single out any university or institution in present day India which is worthy of mention among the illustrious institutions of the world? India is a curious case of an inversely proportional educational growth when compared to the rise that the nation has made, particularly in the last 65 years. What should be the objective of education? It should be to drive students to achieve higher levels of knowledge, utilize that knowledge to purposes that are constructive to nation building and above all, be model individuals. However, what has happened is students, goaded by their parents, are after high marks because they cannot stand their neighbor’s son or daughter scoring more marks than their dear ones! This ‘marks’ circus has resulted in kids who are burnt out by the time they reach their teens and do not have even the slightest inclination to pursue studies further. But they need to eke out a living for which they need a job and to get a job they need to earn a degree – so education becomes a charade to get a job. Somebody who could have gone on to become an Einstein or a Marie Curie with the proper nurture and guidance is forced to do menial jobs because he or she burned out early in life. Is there anything sadder than that? I remember my grandfather, father and mother talking about the high quality of teaching from the 30s to the 70s. It’s probably true because there have been some really erudite minds from those times and they are the kind of models that the system should generate. I cannot say the same about the system in the 80s and 90s though there were a few brilliant exceptions. It is evident then that for a quite a while now, the quality of teaching has become substandard that it is reflected not just in the level of knowledge a student possesses (and I’m not talking about marks here) but also in the way they carry themselves. Teachers have failed to evolve; they have failed miserably to ride the tide of education happening elsewhere; they have failed to make valuable human beings out of students. With umpteen syllabuses and crowded students in classrooms, it’s no wonder that teachers are under tremendous pressure. They dictate notes to students which were in fact dictated to them by their teachers! That is a big evil – I don’t understand how a view of Shakespeare in 1975 could be the same in 2015 or how a technical subject like Physics or Chemistry could be taught by reciting notes from 50 years back! The system needs to change big time. Teachers should have mandatory continuous education programs and assessment tests – both written and oral – to be even considered to be retained in schools or colleges. Unless we filter out the incompetent among the teaching staff, there will be no hope that our students can actually learn. While strengthening the teachers, the syllabus should also get focus. Today we ram everything into textbooks without really analyzing how much of it could be useful to the students. In an era where success is defined by the skills you have and the originality you have, our textbooks should be guiding lights on these. One should not plagiarize Robert Frost; rather one should come up with one’s own original work – that should be what the system should encourage. Unfortunately, we are nowhere near that. We all have values and those values are developed by the kind of upbringing we have and more importantly, by the kind of education we receive. I do not know if the concept of student unions is prevalent everywhere in the world. But with the kind of rampant unionism in India, it’s hardly a surprise if kids are attracted to politics rather than studies. I’m not saying politics is bad; but I do know the politics we have in India is really bad. The objective of a student union should be to facilitate learning and push for students’ rights. If a student union leader strikes a former diplomat on the face and pushes him to the ground, what kind of values does he have? And what is the message that he conveys to the student community? The truth is that all the student unions are just playgrounds for youths to enter active politics at a later stage in life. There is nothing more harmful than a youth with a distorted political agenda. We should ban student unions from being affiliated to any political party simply because we are today churning out the wrong kind of individuals. Another ill-effect has been drugs. There was a time in the 60s, 70s and even 80s when cigarettes, ganja and the like were doled out in campuses like ice-creams or chocolates. Luckily, there was a generation who abhorred these and quite magically, these stuff disappeared from campuses for a while. That was due to the moral values that the education system as well as the teachers taught and drilled. Of course, there were the stray incidents. Recently, we are reading about several instances where campus drug abuse has shot up. Today’s youth ‘learn’ to consume drugs faster than they can master the multiplication table. This is the education system of a country which boasts of a history of 5,000 years. If we do not look to address the inadequacies of a system which is constantly failing, then we will be left with ordinary individuals whose intellectual growth remains stunted and whose values bring nothing but shame to be talked about. How did it ever come to this situation? I can only shudder to think about the generation that is growing up. The gray cloud that hides the moon. Is there a sliver of light? Yes, boundaries can be broken. Birds freed and happiness abound! Isn’t it amazing that a novel first published 203 years ago to the day can hold relevance even in the 21st century? Jane Austen’s Pride and Prejudice settled on two of the many prevalent vices of the 19th century to carve a novel that was intended to send a strong message to citizens of the British Empire. However, it permeated the empire into every nook and cranny of the world to delight readers. People still read the novel – because of the relevance of the message it conveys. I first read the novel when I was at an age where the difference between the meanings of the words pride and prejudice was blurred. I read it a second time some years later when it drove a point into my mind that the world hasn’t changed much since the 19th century. I read it a third time last month and was quite surprised that these are two vices which even 21st century cannot do away with. Yesterday, I talked about online shopping and how the world has grown. It takes only a reading of the novel to realize that in 200 years man has grown his ego so much that pride and prejudice are several notches higher than they were in the 19th century. One could contest that 200 years is nothing in the evolution of man, but seriously we can do much better than blame evolution for the situation we are in. Let’s talk about pride first. This is a word whose synonyms have multiplied manifold. Like Mrs.Bennett, we have people who view vanity as a virtue than a vice. We still have people in our midst who are arrogant and attach too much importance to themselves. 19th century pales in comparison when we see some of the pride that is on display. While a notion has evolved that some amount of pride is even necessary, it doesn’t help that we cannot measure pride. National pride borders on extreme airs of superiority that we go to war with neighboring countries. Religious pride takes tones that condescends other religions. Ethnic pride is used to gain one-upmanship. Jane Austen’s novel teaches us that pride is totally destructive. It reveals aspects of you that will prompt others to detest you. Darcy was snobbish initially but was intelligent enough to tone down his attitude, making him likeable. Mrs. Bennett was vain but was able to rise above her pitiful petulance to accept the truth. The most endearing characters in the novel are the people with the least amount of pride – the close sisters Jane & Elizabeth Bennett and William Collins. Perhaps Catherine de Bourgh manifests pride which rares its ugly head and is an epitome of modern day humans who refuse to come down from the high pedestals where they seem to be perched. Prejudice is a vice which perhaps cannot as easily be eliminated. I think our brains are programmed to be prejudiced about one thing or the other. You could rarely find a person who is open minded and without prejudices. The wars and other trials and tribulations in the 20th century may have greatly contributed to the prejudicial mindset of the 21st century. The onus is upon us to eliminate the prejudice. First impressions is a prejudice. Skin color is a prejudice. The more we train our minds to be non-judgmental, the better we can eliminate prejudice. It may not be something as destructive as pride, but a correct view of others can foster better relationships among humans particularly in an increasingly hostile environment. The key is to keep the mind open. Jane Austen interestingly tackles prejudice in the novel. She arms her leading lady brilliantly with this trait. Elizabeth is a person who always creates first impressions of people she meets. This leads her to question the attitude of those people. Gradually, she is able to clear her prejudices and see people for what they really are. She kept her mind open which is the reason she was able to accept Darcy later on. Mr.Bingley is also prejudiced – a derived one which created quite a lot of problems in expressing his love for Jane. Again, an open mind comes to the rescue as he is able to woo Jane who reciprocates his affection. Books can be great teachers. They can be tremendously influential in shaping behavior with the tool of characterization. With a scintillating title, Jane Austen does just that – making people understand pride and prejudice from the perspective of English family relations. A modern day reader has a lot to learn from and relate to in this novel. It has stood the test of time. It’s up to us to change ourselves. 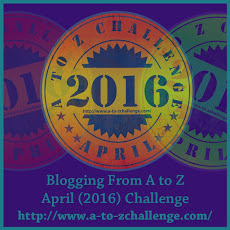 #366days366posts – Day 27 – Are we becoming lazy? While there is still a huge gap between online shopping and traditional shopping, it will narrow down further over the years. Since when did we stop enjoy shopping for products by visiting stores? Have we become too lazy (including yours truly) to get out of our homes, go to the retail store, go through the selections available, like a product, buy it, pay for it and return home? Of course, online shopping comes with a wide array of mind-blowing selections et al, but the question lingers – have we become lazy? The truth sadly is, yes. Getting up from bed itself is a gargantuan task these days, let alone online shopping. With that kind of a mentality, it’s not surprising that we want everything delivered to us at our doorsteps. I’m not preaching – I myself am guilty here – a moderately significant proportion of things I buy, are done through online shopping. The point I’m trying to make here is laziness is what has so far resulted in and will lead to a further explosion of online shopping numbers as we end the second decade and start the third decade of the 21st century. Attractive discounts, some of which run throughout the year, might be a great incentive to prefer online shopping. The choice of brands or products on display is also a big contributor. There is no stopping this – in fact, this shows the progression that technology has made and also of people finding more comfort in technology. It’s all good when we think about it – mankind developing and all those maudlin stuff. There’s a cost to this laziness – our health. Will all the discounts be enough to provide for our health? Is sitting long hours in front of our laptops and smartphones when we should be pulling trolleys and exercising our hands and legs and of course tummies desirable? The US government spent USD 512 billion dollars on health in 2015 (https://en.wikipedia.org/wiki/2015_United_States_federal_budget) The per capita spending in the US on health was USD 9,146 in 2013 (http://data.worldbank.org/indicator/SH.XPD.PCAP/countries?display=default). Similarly, the Indian government has budgeted $4.81 billion for health in 2015/16 (http://in.reuters.com/article/india-health-budget-idINKBN0LW0LQ20150228) and the per capita spending was USD 61 in 2013 (http://data.worldbank.org/indicator/SH.XPD.PCAP/countries?display=default). Obviously, expenditure on health is accelerating. With the proliferation of online shopping, the per capita expenditure on health will only increase. The money that is saved on a product by way of the discounts offered by the online retailers would probably be eaten up by medical bills. Unfortunately, numbers on total value of discounts offered by retailers are not publicly available. However, it would be peanuts compared to the money that is released from the exchequer. In another 10-15 years, with the manifold increase in the proportion of online retailing, I’m predicting that online retailers will need to cough up a tax credit to consumers to compensate for the decline in health standards. This can fund the health costs of consumers. Guess what, this will be a relief to the governments as well. Sounds logical, but that should not be a cue for more laziness! Cold shivers went down her spine. Flashed in a moment of despair. Slumped she, on the chair beside. Only sixteen, was his time now? Oh death, selective you are so! Does he pick and kiss at random? Or does the reaper know his harvest? Unfair it is on so many counts. But the kin – devastated they are! Claudius limped towards the arch beside the entrance of the war room of the Roman Emperor. He was frustrated at his nephew again – Emperor Caligula had insulted him in front of scholars of Rome. This had gone far too long and needed immediate closure. Otherwise, he would be left to lead a secluded life again. He did not want that to happen. I want to rule Rome, Claudius determined. As he reached the arch, he saw Commander Cassius talking animatedly to some Senators he recognized. “Caligula has changed a lot – he is not the same person he was in the first six months of his reign,” Lucius, one of the Senators said. “Yes, he is now corrupt, and is also a known womanizer,” Caius, another Senator confirmed. “We must put an end to this. I heard that he is planning to leave Rome permanently and settle down in Alexandria. He says he has divine powers now” Commander Cassius sowed the seeds for a conspiracy. The words encouraged Cassius and the Senators. “Let’s move to some place where we will not be seen or heard” warned Flavius, who was also a Roman Senator. They moved to Cassius’s room in the palace. The guards were asked to draw the curtains and not to allow anyone inside the room until Cassius ordered so. Over the next four hours they formed a definitive plan to overthrow Caligula. This was after various options were laid and the pros and cons of each debated thoroughly. This was a matter of life and death – any failure would see all of them in gaol for the rest of their lives! This was motivation enough for all to rack their brains and come up with the best scheme to put an end to a rule that had disillusioned just about everyone after the initial euphoria of the statesmanship of Caligula had subsided. “Let’s do this when the Emperor addresses a group of actors during the Augustus games,” Cassius proposed the date for their action. “I agree. It will be a closed door speech and only the actors and the Emperor’s close affiliates will be around” Lucius concurred. The others nodded in agreement. Claudius said nothing. On the appointed day, the three Senators met Commander Cassius in front of the drama theater where Emperor Caligula was to speak in a short while. Cassius asked the Senators to take their places inside the theater while imploring them to stay hidden. They saw Claudius approaching. “Are you coming inside with us, Claudius?” asked Flavius. All of them went inside the theater and took their positions. A few minutes later, a contingent of drama participants entered the stage with an older man who seemed to be their teacher. They began to be seated as a guard announced that Emperor Caligula would arrive to address them presently. The Emperor indeed arrived soon with a few of his close advisers. He took his place in the podium and started addressing the young actors. Claudius did not utter a word. He walked past Cassius, patted on his back and walked out of the theater. Just as the doors to the theater slammed shut again, he stabbed Caligula. The Emperor writhed in pain and fell backward. The three Senators also started stabbing the Emperor. Caligula pleaded with them to leave him alone. But the attackers showed no mercy. The audience was shell-shocked and they suddenly made their way out of the theater. Hearing the commotion inside the theater, Caligula’s loyal guard came inside. Aghast at what he saw, he quickly took his sword and responded to the attackers. But it was all too late – the Emperor was dead. The conspirators quickly fled the scene and all hell broke loose. The guard began attacking people who were not even remotely involved in the crime. Several civilians were injured, and there was a massive destruction of property. Meanwhile, the conspirators had moved on to the interior chambers of the palace. They entered the chambers of Caligula’s wife Milonia where they saw his daughter Julia as well. The women realized that something was wrong and prepared to escape when they were mercilessly cut down by Cassius and Caius. Hearing the news of Milonia and Julia’s assassination, the situation turned to one of utter chaos. When Claudius heard this, he was shocked – they did not plan to murder Caligula’s wife and daughter. I’m being tricked, thought Claudius. He realized that Cassius had political ambitions and was harboring thoughts of eliminating all the royal family members. Struck with panic, he decided to flee the palace and hide somewhere. Claudius wasn’t sure who to trust after all that had happened. He looked the guard in the eyes. There was a deep intensity in those eyes which told Claudius that the guard was telling the truth. “Where will you take me?” Claudius wanted to know. “We will remain in hiding until the dust settles,” the guard said. “But where to?” Claudius was anxious to know. “Come with me, I will show you,” the guard pulled Claudius and they quickly exited the palace. They made their way towards a building which appeared secluded. Because of the limp in Claudius’ legs, it took them a while to get there. The Praetorian guards welcomed Claudius to their camp. After a round of introductions, they briefed Claudius on the state of affairs. The guards implored him to take up the title of Roman Emperor as there was no one now to lead Rome. Claudius was hesitant and said he needed to think about it. The Roman Senate convened a special session. Several Senators were talking animatedly on the happenings of the day when the head of the Senate sounded the gavel and asked everybody to remain silent. “We do not have a government in Rome now,” he commenced his speech. “It’s a most serious situation” he added. A group of Senators informed the head that some of the Praetorian guards had safely hidden Claudius, uncle of Caligula and that he should be made Emperor of Rome. At this a bitter argument surfaced and the head of the senate had to sound the gavel many times to bring the situation under control. “Claudius is worthy of becoming Emperor. Bring him to the Senate and the Senators will approve his anointment” the Senate head said once and for all. After a bout with his own conscience and words of encouragement from the guards, Claudius finally relented and announced that he was ready to lead Rome. A loud cheer erupted in the camp and the senior guards escorted Claudius to the Roman Senate where he would be formally approved as the Emperor of Rome to succeed Caligula. As he entered the Senate hall, those in favor of Claudius stood up and began to chant his name. The Senate head again had to get his gavel and ensure order. Sensing the mood of the majority of the Senators, he formally accorded the Senate’s approval for Claudius to ascend to the throne of Rome. Caligula was Roman Emperor from AD 37 – 41. He was Claudius’s nephew as well.